Taylor Ling's UI Design Kit updated. Also for GIMP. 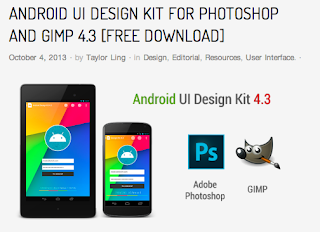 Taylor Ling has updated his awesome design kit to 4.3. The update contains tons of new updates and it's all available for free from hiswebsite. Check out the changelog and get the download links here: Android UI Design Kit for Photoshop and GIMP 4.3. If you like it and benefit from it please throw few dollars to Taylor's way via paypal.